Ellie qualified as a Mental Health Nurse in 2000 and initially started work in CAMHS/Family Therapy. She moved to Adult Acute Services as a Senior Staff Nurse when major changes to local services were on the drawing board. She progressed her career in acute and was fortunate to be actively involved in building an acute hospital and radically changing the services delivered to Service Users in North East Lincolnshire. She is the Assistant Director for Acute/Rehabilitation/ Access Team Mental Health Services for NAViGO CIC. 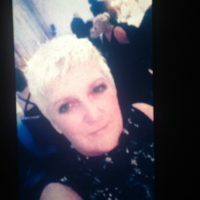 She is passionate about mental health and recovery, is a lead reviewer for the Royal College of Psychiatry AIMS accreditation programme, an honouree member of the Royal College of Psychiatrists and a trustee on the board at Starwards. 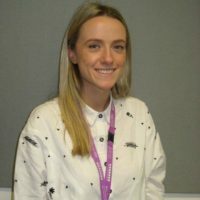 Rosie qualified from King’s College London as a Mental Health Nurse in 2011 and started her first post on the Early Intervention Unit for Psychosis, SLaM. After two years on this ward she moved to a charge nurse position, helping to open two new acute wards at Bridge House, Lambeth Hospital. She then moved into Early Intervention in the community in West London as a lead practitioner before moving back to her home town Brighton, where she continued to work as a care co-ordinator within Early Intervention in Sussex Partnership before re-entering acute services as a Practice Development nurse. She now works at Langley Green Hospital, Sussex Partnership NHS Foundation trust and was part of the hospitals huge transformation, firstly as a Ward Manager and now a Matron. She is passionate and motivated in delivering a high standard of care to both patients and carers, effective leadership and support for staff. She was part of Langley Greens Channel 5 Documentary ‘Healing Minds’ and alongside running the hospital twitter, she also teaches nursing students at Brighton University. Both Ellie and Rosie would love to hear from you if you would like to be involved in this group.